Staying connected in our world is much easier these days thanks to readily available technology. Cellphones, tablets, and laptops all provide connections to the global internet. Seniors who wish to connect with friends, relatives and long distance acquaintances can quickly find and reach out to people they haven’t seen or heard from in years. The Manse provides the independent living San Luis Obispo residents are looking for, and helps them become familiar with new ways of communicating. Social media like Facebook, Skype, Facetime, Twitter and Instagram are all ways to stay connected with family and friends who aren’t close enough for a visit. The internet may seem a little overwhelming or confusing at first, but with a few simple tips, seniors can continue learning and comfortable independant living. San Luis Obispo residents may find this list provides a little help to understanding the ins and outs of social media. 1.Privacy- Be aware, and keep privacy settings stricter at first, slowly adjust them as time continues and knowledge increases. 2. Personal Information- Never send personal or financial information to businesses over social media. Secure websites always start with “ https:// “ and only share sensitive information over a secure server, on a trusted website. 3. Out Of Town?- Never share information about being out of town on social media unless only friends and family members can view it. It can be an invitation to thieves. 4.Permanence- Social media is a permanent record and can be saved by anyone using the internet, so whatever is posted, like photos or personal information, assume it may be saved without permission or knowledge. 5.Don’t Overshare- Never share information like full names, birthdays, addresses, family member’s names, ages, addresses or schools. 6.Teen Family- Sometimes teens may feel uncomfortable when older family members can see all their posts and may not accept friend requests because of this. Always ask before sending a friend request. 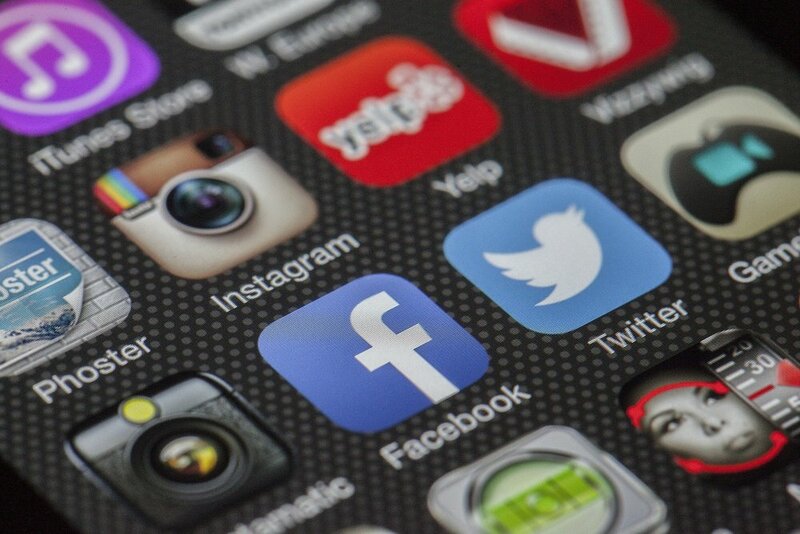 With a little help any senior can figure out how to use social media properly, and smoothly. Learning to use and become comfortable with social media takes time. The Manse on Marsh is designed for seniors that wish for independent living. San Luis Obispo is an exciting city to live in, and The Manse offers many opportunities to be independent and provides needed assistance and security.